What if you don't have a specific office location? 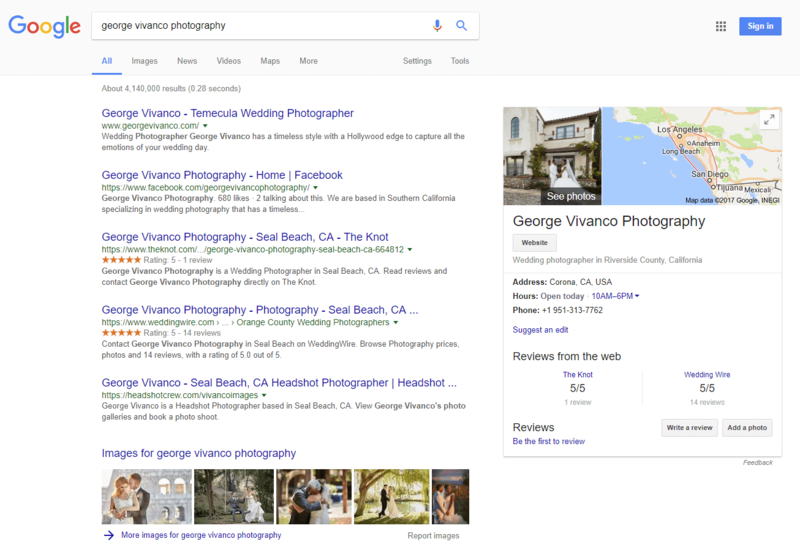 When people search for your name or for photography businesses like yours, your listing could appear in Google web search and Google Maps, helping you bring in my customers. 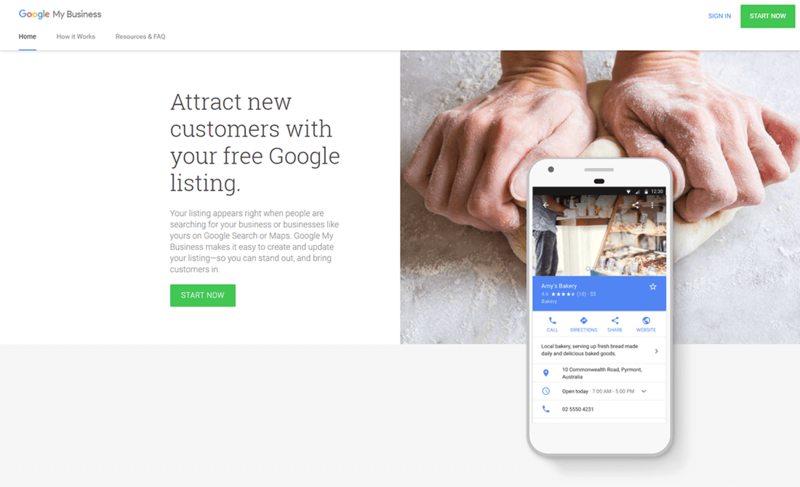 Google My Business is a free service that simply lets you claim a business listing on Google. Over time, this has become a critical part of SEO. 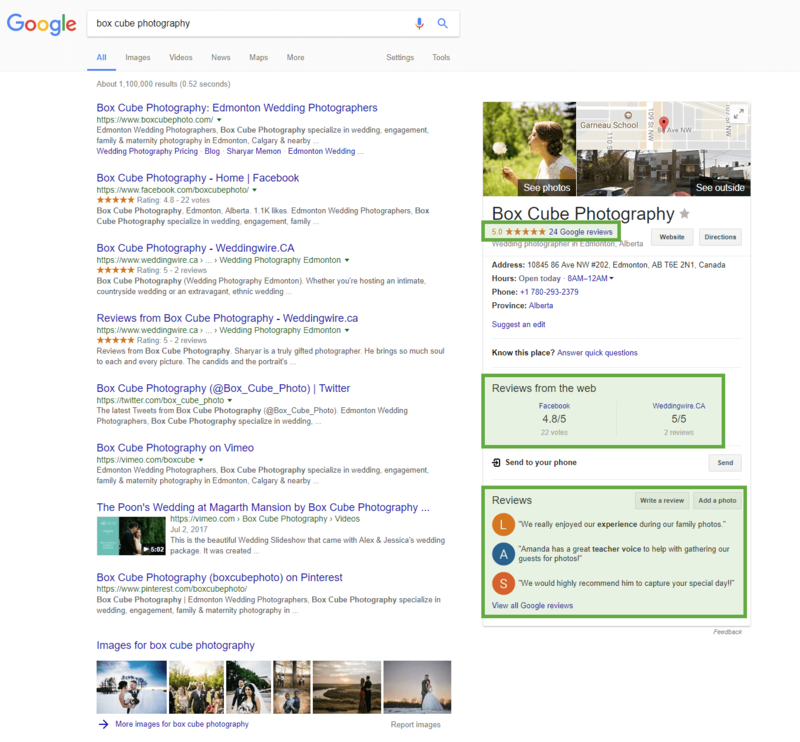 This article will teach you everything you need to know about creating such a listing for your photography business. Unless you see your specific niche in there, “Photographer” is fine. There’s no way to add/define a new specialty in that list. 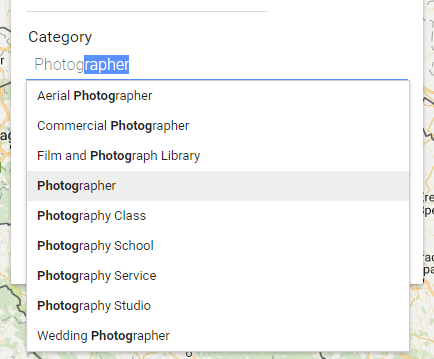 And be sure to check the “I deliver goods and services to my customers at their location” option if you’re a service-based photographer without a “storefront”. Your service area will appear on the map (as opposed to your physical location). By the way: Google also added a messaging feature (in some countries), allowing customers to send you an SMS message. More details about the messaging feature here. After you complete the form, you might need to verify your listing (which can involve Google sending you a postcard to your business address, containing a verification code). It’s relatively easy to do, and it helps increase your listing’s visibility. Once verification is complete, you’re all set! You then get access to customer reviews (to engage with them) and to Insights (to see how people find and interact with your info on Google). But Google’s business websites are free for a reason, they’re more for amateurs who don’t yet have their own personal site. The ideal scenario, however, if to have your own personal website, on your own domain. The Google business listing will just link to it. Please note that your Google My Business listing won’t show up all the time. It depends a lot on the search query you use, and on your location. People in the UK won’t always see the same listings as people in the US. 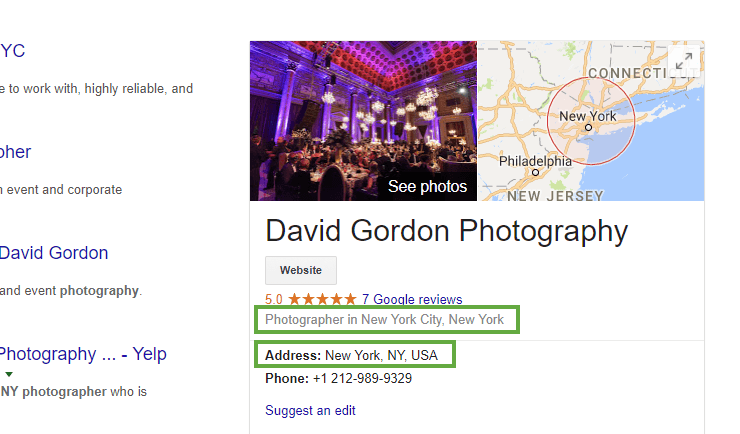 Even a very insignificant change in phrasing (like “event photographer NY” versus “NY event photographer”) can make the different as to whether or not a business listing will come up. What if you don’t have a specific office location? Most solo photographers taking freelance jobs and then working from home fall into this category. 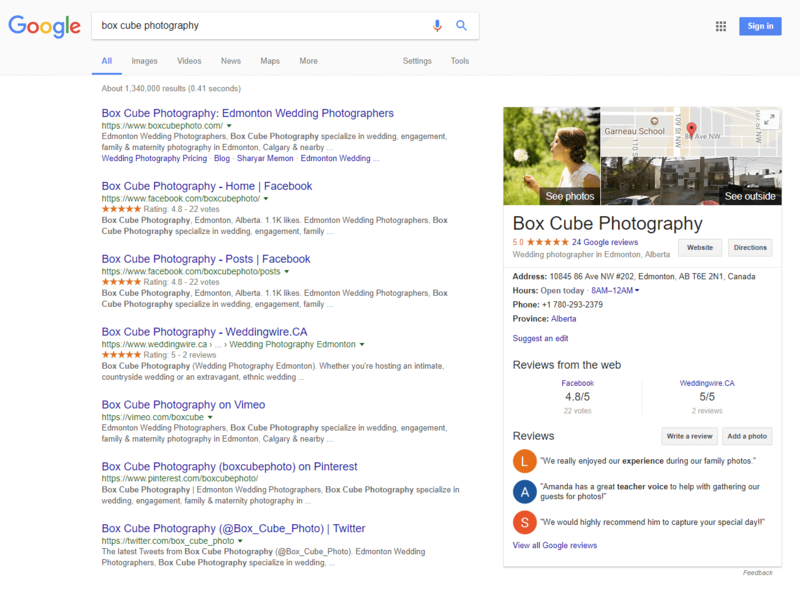 It’s such a prominent box that can appear to the right of Google search results, that it’s incredibly useful even if you don’t have a precise location. 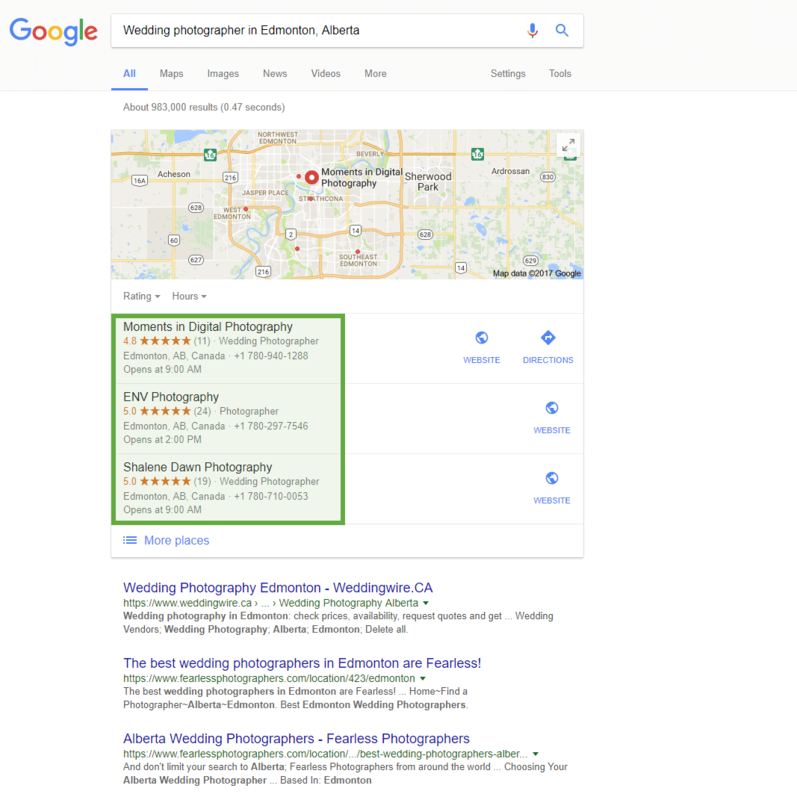 Getting more reviews on your Google My Business listing is a great way to get more links back to your site (or for people to contact you directly). Reviews don’t help with SEO directly, it’s just a matter of raising trust and encouraging people to click on your listing. In fact, 88% of consumers trust online reviews as much as personal recommendations (source). Google values positive reviews as well, because it wants to “translate” offline popularity into the online world. 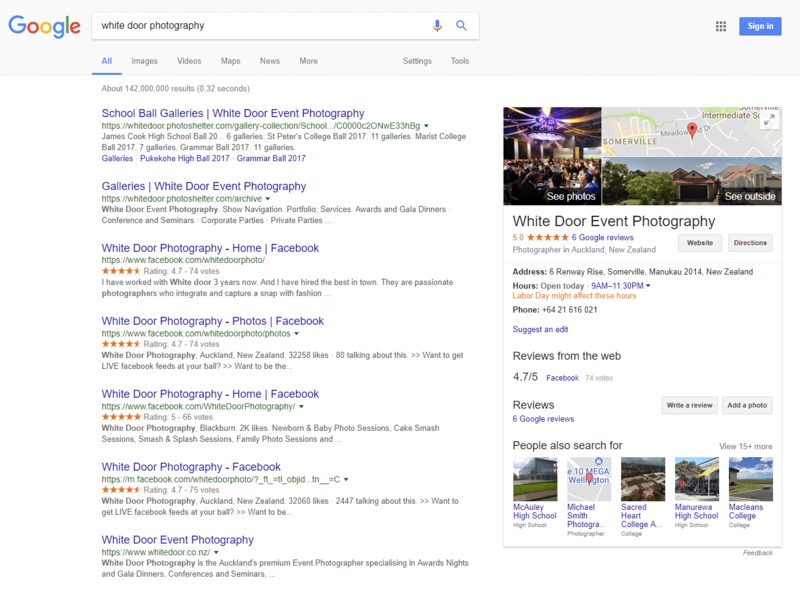 This is especially important if there’s another photographer with the same name, competing for that same spot to the side of Google search results. The more 5-star reviews you have, the better the change to overtake them. Reviews are what can actually push you in those top 3 results. You can send that link (via email or social media) to past clients, friends & colleagues, industry connections, etc. Basically anybody who would be willing to write a review and rate your business. The best time to ask for reviews (and testimonials!) is right after you provide your photography services to your clients, while you’re still on their mind. and always end on a positive note and thanking the client for the feedback (even if you don’t feel like it at first). 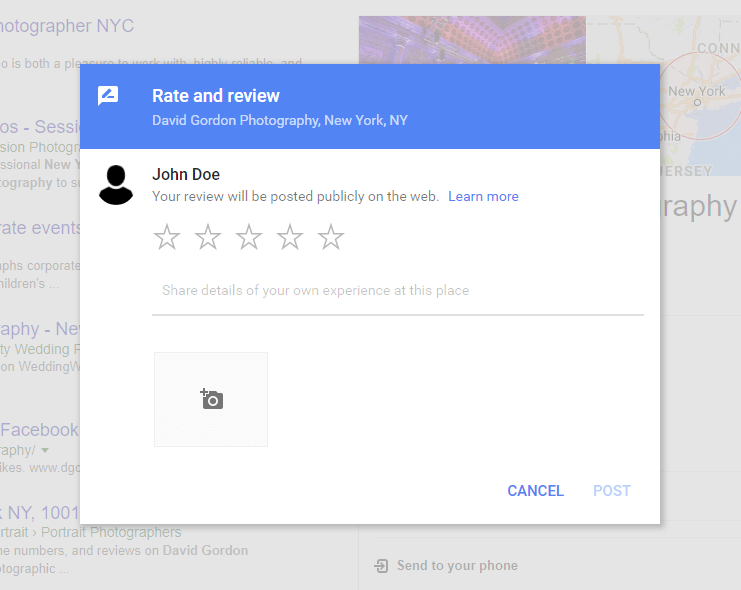 Besides the regular Google reviews, you might have also noticed something called “Reviews from the web”. 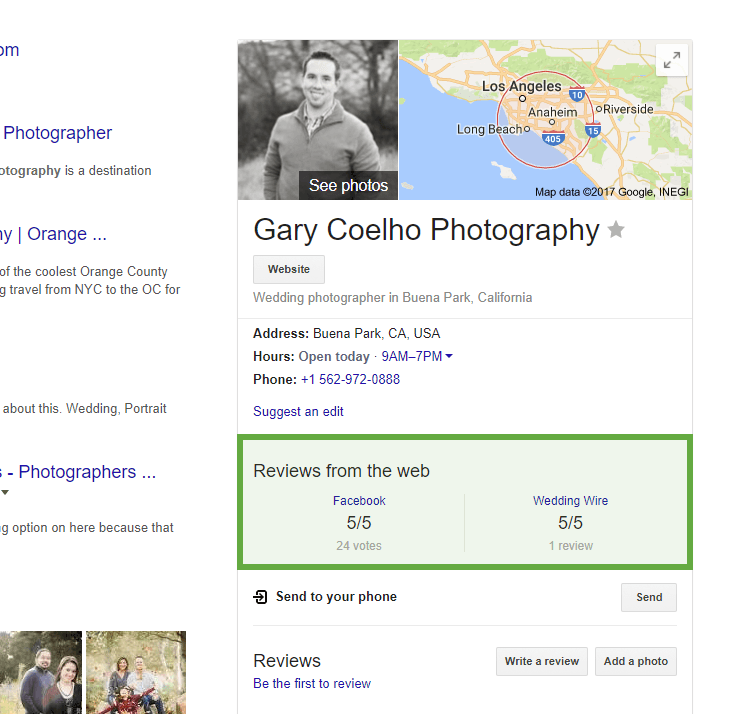 Here’s a great guide that can help you get those as well: What’s up with the new Google My Business reviews section? A critical aspect here is to make sure you’re using the exact same business name, address and phone number on all other sites. 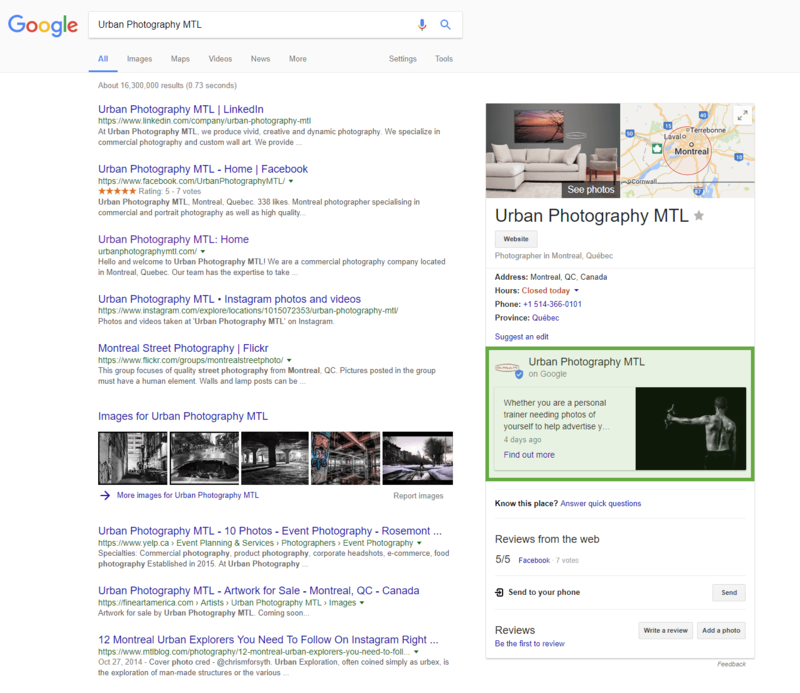 Consistency is really important if you want Google to link to your other business listings. Your business listing is not a “set it and forget it” type of thing. Incomplete or out-of-date information can lose you clients! update photos if needed (you probably already have some in there, but are they the right ones? Do you have new images that might better represent your business? Update: another great way to improve your GMB listing is to use their new posts feature. Your photography business needs more exposure. 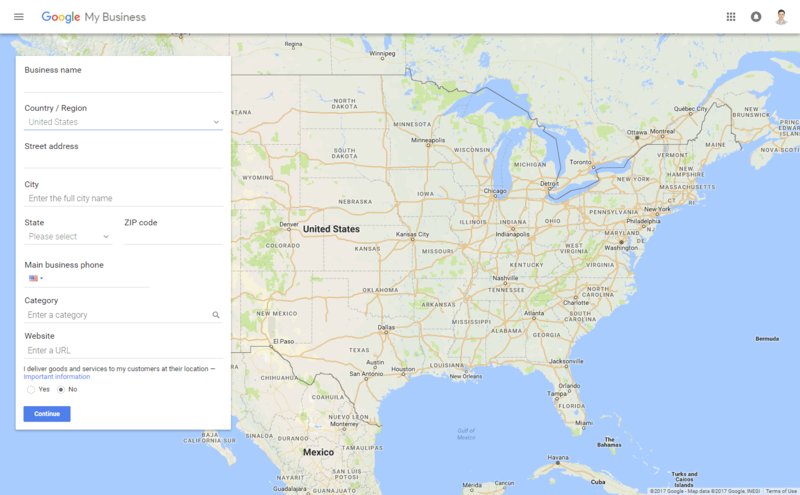 Getting a Google My Business listing is free and easy to do, and it can really bring in dividends in the long run. So why not create one today?